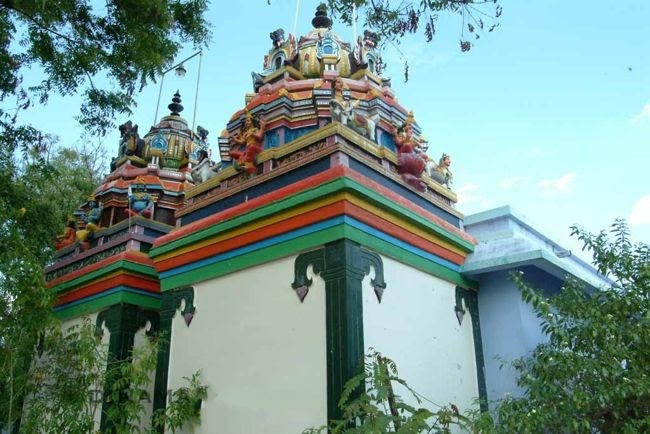 This is the only temple for Chitra Putra Nayanar after the one in Kancheepuram in Tamilnadu. Being the deity of serpent planet Kethu, people worship Chitra Gupta for relief from the adverse effects of this plant. On the Chitra Poornima day, women take food without salt as a fasting for longevity. Chitragupta is a Hindu god assigned with the task of keeping complete records of actions of human beings on the earth. Chitragupta keeps track of all the virtues and sins committed by the person in his/her lifetime; and accordingly, Lord Yamaraj decides the fate of the dead. As per mythology, He was again born to the divine cow Kamadenu in the Chithirai month (April-May) on the Chithirai Star day and on the poornima day of the month. 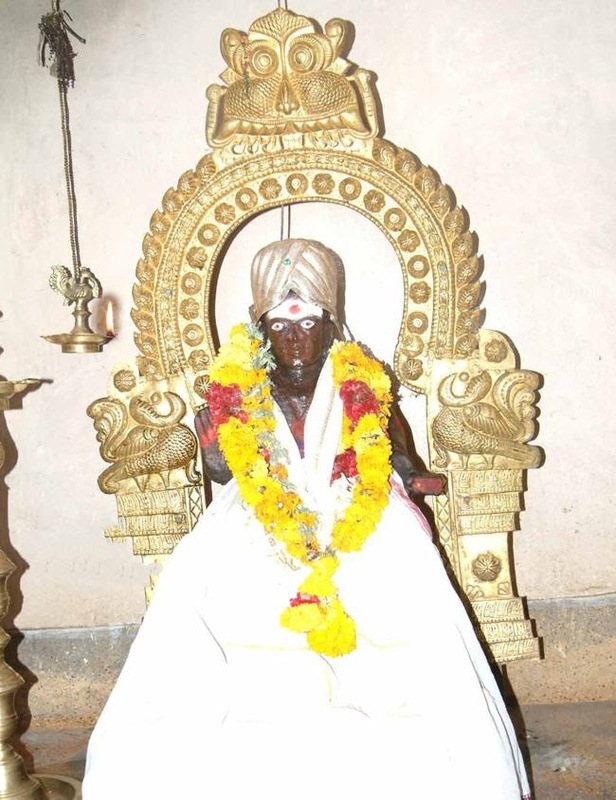 As he was born from a picture-Chithiram in Tamil-and was born again on the Chithirai month on the Chithirai star day, He is named Chithra Puthran. But he is popularly known as Chitra Gupta. He was brought up by Indira’s spouse Indirani. Chitra Gupta, as a staunch Lord Shiva devotee, achieved the wisdom-look (Gnana Dhrusti) to monitor the deeds of beings. Lord Shiva appointed him to keep an account of the characters and deeds of all beings and account them accurately. In one popular version of the creation myth of Chitragupta, it is said that Lord Brahma gave the land of the dead over to the god Yama, also known as Dharamraj or Yamraj. Yama would become confused sometimes when dead souls would come to him, and would occasionally send the wrong souls to either heaven or hell. Lord Brahma commanded him to keep better track of everyone, and Yama declared that he could not reasonably be expected to keep track of the many people born of the eighty-four hundred thousand different life forms of planet Earth. Lord Brahma, determined to solve this problem for Yama, sat in meditation for many thousands of years. Finally he opened his eyes, and a man stood before him with a pen and paper. As Chitragupta was born of Brahma's body or kaya in Sanskrit, Brahma declared that his children would forever be known as Kayasthas. Chitragupta is sometimes also referred to as the first man to use letters, and is hailed that way in the Garud Puran. He is known as being incredibly meticulous, and with his pen and paper he tracks every action of every sentient life form, building up a record of them over the course of their life so that when they die the fate of their soul can be easily determined. These perfect and complete documents are referred to in mystical traditions as the Akashic records, and as they contain the actions of each person from birth to death, they can be said to contain every action taken in the universe. It is believed that if one takes an oil bath on the Chitra Poornima day, Chitra Gupta would reduce the consequences of sins committed. As he was born of the womb of a cow on Chitra Poornima day, we are restrained from using cow milk, cow curd and cow ghee that day. There is a shrine for his spouse Prabhavati in the temple. People clean the entrance of their houses and decorate it with rangolis and chant slokas in his praise on this day. It is believed that he would visit our houses and bless with longevity. Chithiram also means wonder. Guptam means secret. As he has the power of even penetrating into the secrets of people – good and bad – and account them accurately, he is praised as Chitra Gupta, goes the other description about his name. According to Sastras, Lord Shiva was monitoring the deeds done by the beings on earth and accounting them. Lord Shiva wanted to create a deity for doing this job. He looked at Mother Shakti, who, understanding his plan, drew a picture. Both Lord and Mother gave life to the picture and thus was born Chitra Gupta. Kodangipatti is a Village in Bodinayakkanur Block in Theni District of Tamil Nadu State, India. 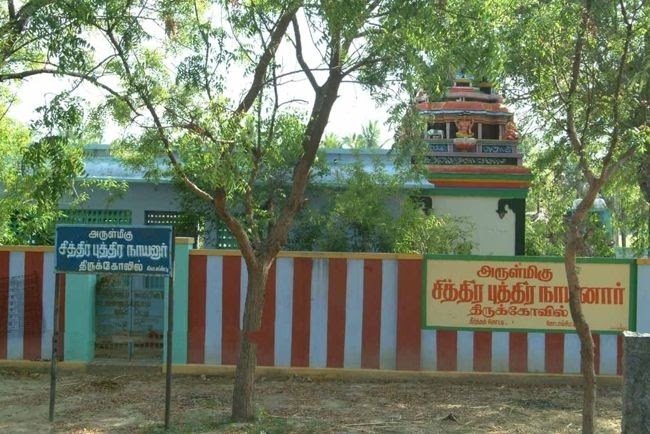 It is located 5 KM towards west from District head quarters Theni. 8 KM from Bodinayakkanur. 536 KM from State capital Chennai. Temple is close to the bus stop.